Intended to bridge the gap between the latest methodological developments and cross-cultural research, this interdisciplinary resource presents the latest strategies for analyzing cross-cultural data. Techniques are demonstrated through the use of applications that employ cross-national data sets such as the latest European Social Survey. With an emphasis on the generalized latent variable approach, internationally prominent researchers from a variety of fields explain how the methods work, how to apply them, and how they relate to other methods presented in the book. Syntax and graphical and verbal explanations of the techniques are included. Online resources, available at www.routledge.com/9781138690271, include some of the data sets and syntax commands used in the book. A comparison of anti-immigrant attitudes and patterns of religious orientations across European countries. 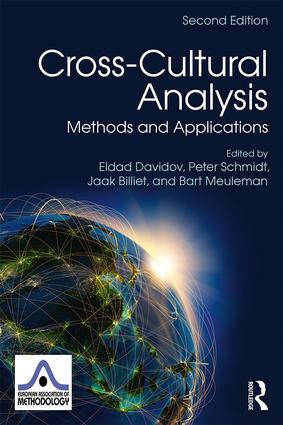 The second edition includes six new chapters and two revised ones presenting exciting developments in the literature of cross-cultural analysis including topics such as approximate measurement invariance, alignment optimization, sensitivity analyses, a mixed-methods approach to test for measurement invariance, and a multilevel structural equation modeling approach to explain noninvariance. This book is intended for researchers, practitioners, and advanced students interested in cross-cultural research. Because the applications span a variety of disciplines, the book will appeal to researchers and students in: psychology, political science, sociology, education, marketing and economics, geography, criminology, psychometrics, epidemiology, and public health, as well as those interested in methodology. It is also appropriate for an advanced methods course in cross-cultural analysis. How Should Immigrants Adapt to Their Country of Residence?